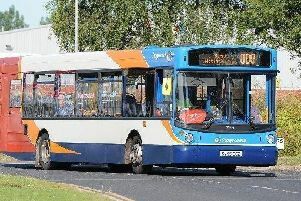 The ferry service between Fleetwood and Knott End has now resumed one year after fears arose for the service’s future. Wyre Council and Lancashire County Council, with Wyre Marine Services, will continue to operate the ferry across the Wyre Estuary. Councillor Peter Murphy, portfolio holder for planning and economic development said: “We’re pleased that this announcement could come following such uncertainty 12 months ago. Wyre Council announced in January that the ferry was to continue operating under a new contract and operator following a full procurement process. The new supplier will operate the ferry under an eight year contract, offering a seven-day-a-week service, similar to the previous service. Lancashire County Council has agreed to contribute to the running of the ferry service on a 50:50 basis with Wyre Council for the first four years, after which it is hoped the ferry will be self-sustaining. County councillor Keith Iddon, Lancashire County Council cabinet member for highways and transport, said: “We’ve been working very closely with Wyre Council and operators to look at how we can continue to provide this service in a more efficient and cost-effective way.